If you're looking for reliable Kings Mountain moving services, your search ends here with Charlotte Van & Storage! We've provided unbeatable moving and storage services to North Carolina communities like Kings Mountain for almost 60 years. Whether your relocation is residential or commercial, local or international, rest assured that our Kings Mountain movers are equipped to handle it. For decades of superior, customer-oriented service, Charlotte Van has become a BBB-accredited business with an A+ rating and a member of the North Carolina Movers Association. Read on to learn more! Local: We can move your household or business across town in a record amount of time. 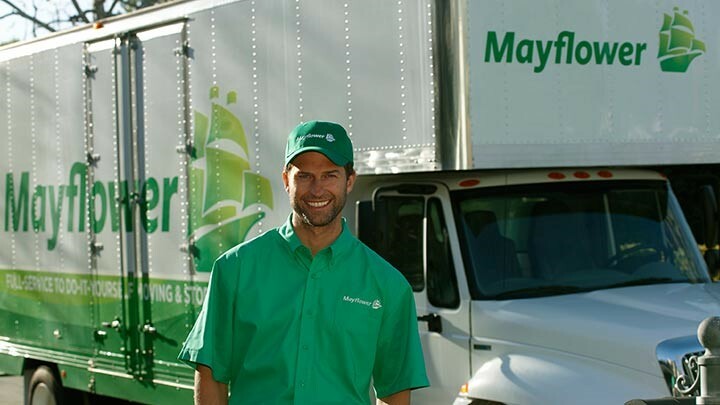 Long Distance: No matter the distance and challenges of your relocation, we can get you there as an agent of Mayflower Transit. Residential: We move households large and small with dedication and care, ensuring that your belongings are treated with the utmost respect. Commercial: We can move major corporations across the world with a minimum of downtime! Don't delay any longer! Give your top Kings Mountain NC mover a call today and tell us how we can simplify your transition. Don't forget to fill out our quick quote form for your free estimate now!